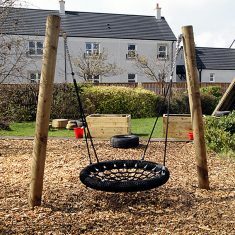 Swings have stood the test of time for many decades both in play value and durability and we recognise that even though playground equipment is continually changing with time – some traditional items such as swings are still firm favourites with children of all ages. 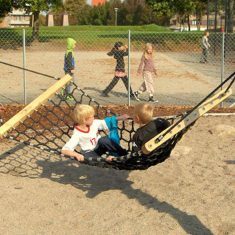 Swings are also frequently used in therapy by many cultures around the world. 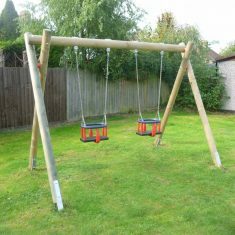 The range of Caledonia Play timber swing frames are available in two different heights – Junior and Standard. Each can be supplied as a single or double bay frame. 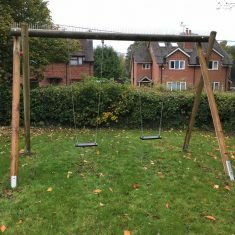 All the frames are constructed with quarter sawn machine rounded timbers that have a sanded finish and are secured with stainless steel fittings, limiting rust and corrosion. The timber legs are fitted with hot dipped galvanized metal extensions preventing ground moisture affecting the timbers. 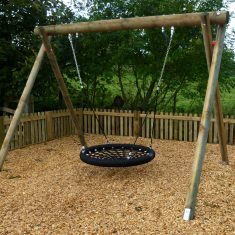 Each of the swing frames can have either flat swing seats or cradle swing seats fitted, which are supported with stainless steel chains and swing points. 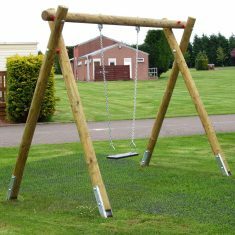 These frames are ideal for public or commercial organisations such as caravan parks and camp sites, hotel grounds and diversifying farm parks as the timber frame is durable and robust but in keeping with the rural setting. 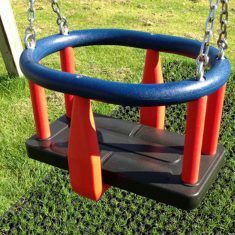 All our products conform to The European Standards for Playground Equipment: EN1176. 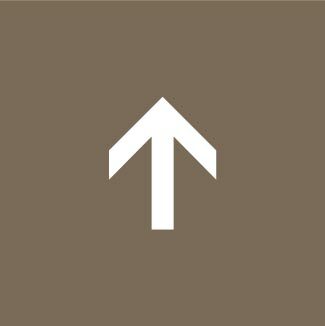 We are aware that timber as a material does not suit all environments or customer requirements. 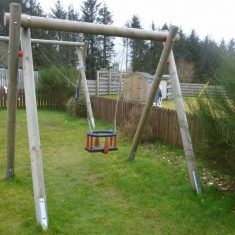 To supply this expanding customer base, we also have a range of metal swing frames in our Metal Play Equipment range. 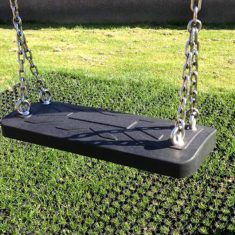 We will be happy to advise on the most appropriate product for your play area.